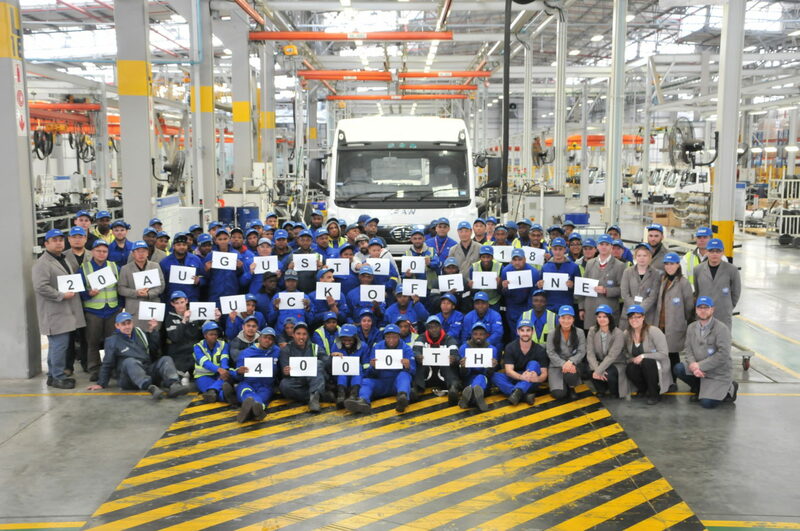 FAW South Africa’s world-class Coega assembly plant recently celebrated another production milestone: assembly of the 4 000th FAW in South Africa. With a presence in South Africa dating 24 years, FAW’s assembly plant has become the bedrock for further investments in the Eastern Cape. Inaugurated in July 2014, the plant was the first large-scale investment made by a China-based company in the region. In fact, it is still one of the largest foreign direct investments ever made in Coega. FAW’s R600 million plant currently provides employment for 120 people on a permanent basis, contributing positively to the overall unemployment rate in the province. Some 951 training hours have been completed year-to-date, with the training provided focusing on health and safety as well as skills development.